From our beautiful sandy beach area & world famous sunsets to our harbour - our waterfront area is popular! The Station, on Port Elgin beach, offers mini golf & a miniature steam train ride around North Shore Park. Further north are Southampton's waterfront areas; famous for long stretches of beach, dune grass, Pioneer Park, the Boardwalk & great views of Chantry Island. 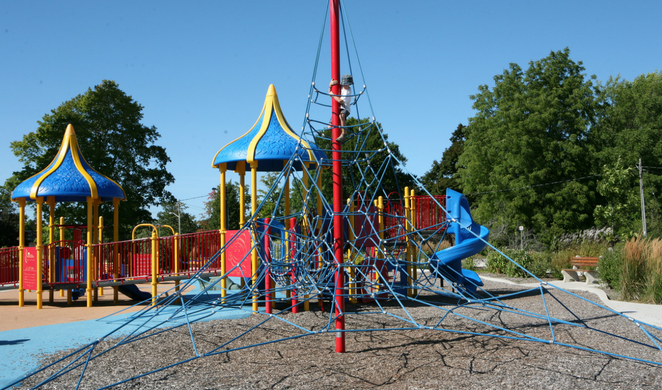 Saugeen Shores has over 20 parks. You can find the one of your liking & have a good old fashion picnic. Nodwell Park in Port Elgin has a paved loop perfect for those practicing their biking & roller blading skills. Playground equipment for the kids & benches for the adults. We are very proud to have the only accessible park of its size in Bruce County. Located in Southampton within Jubilee Park, with accessible washrooms, pathways, a picnic shelter, a ball diamond, playground & parking area. Click Here for more park info. 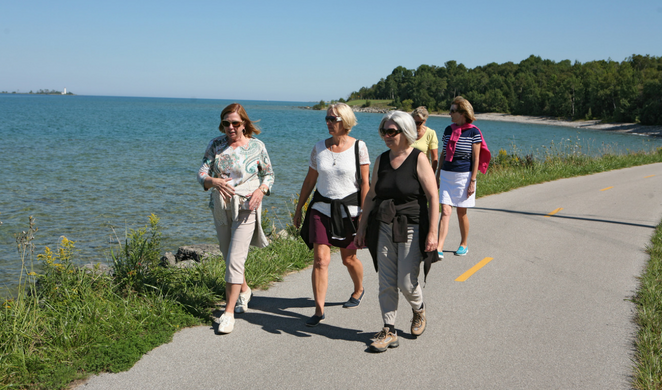 With over 50 kilometres of trails in Saugeen Shores, there are an ample amount of places to run, bike, hike, ski and snowshoe on our year-round trails and paths. These multi-use trails include paved, stone dust, natural and wood chip surfaces. Routes can include lakeside views, residential and rural areas. Our trails systems are a great place to soak in the scenic beauty while exploring the area. Summer in Saugeen Shores... Wednesdays, during the summer you can find the Flea Market at Port Elgin main beach & the Farmers Market downtown Port Elgin. Thursdays in Southampton by the big flag, check out classic cars at Cruisers Cruise Nites. 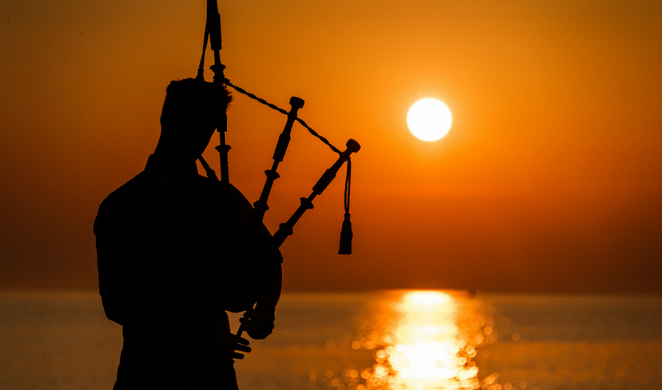 Fridays, join our Sunset Piper by the big flag in Southampton as he pipes down the sun. Sundays, listen to live music at bandshell concerts at Emmett McGrath Pavilion on Port Elgin beach or at Rotary Fairy Lake Pavilion in Southampton. Click Here for more events. The Saugeen River is a favourite destination. Canoeing, kayaking or rafting; the river offers anything from a challenging adventure down the rapids to a leisurely relaxing journey. 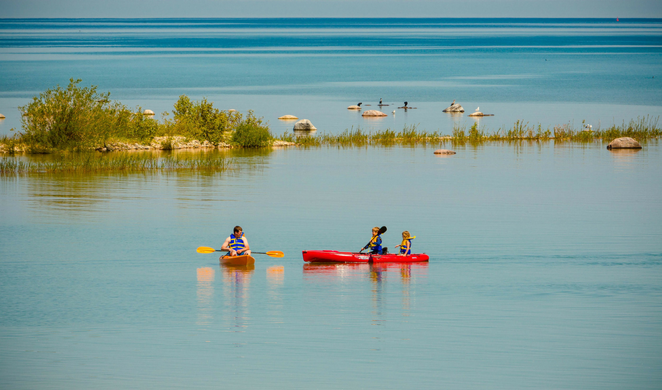 Test the waters with a Hydrobike or SUP (Stand Up Paddle Board) in Port Elgin, with lessons and rentals available. You too can spend the day on the water enjoying blue skies and soothing waters. Enjoy the picturesque beauty of Chantry Island, which took the #1 spot in Canadian Tourism Commissions' 2010 online "Locals Know Campaign" for "Canada's Top Hidden Travel Gem." Guided tours run on pre-scheduled dates & times usually in May-September, weather permitting. 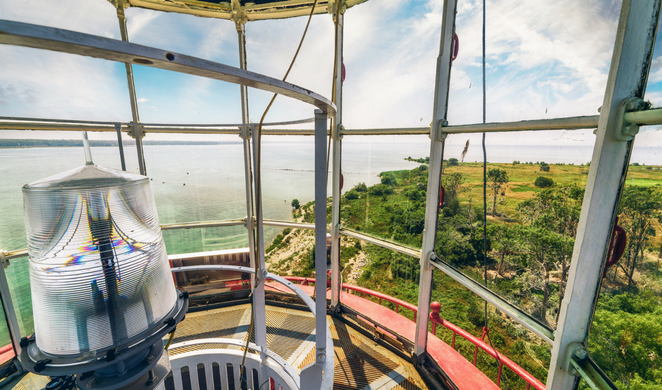 Learn about the local history and climb the 106 steps in the Imperial lighthouse to enjoy lovely views. You'll need to be over 4 feet tall, have unlimited mobility & be wearing solid footwear. Click Here for the website.